B U B B L E G A R M: No star jumps for me! No star jumps for me! However, I'm all out of Neal's Yard and it's not easily accessable so I have to wait a bit until I re purchase. So.... in the mean time I will be using Origins and my mini emegency skin care set which comprimises of all Neal's Yard products. What's your experience been with the body shop or any of the above brands mentioned? ive been loving most of the body shop skincare. I use the oil everynight and im finding it does make a slight difference, not a big one but im just in the habit of using now. I love the vit e cream and some of vit c stuff. Vit E day/nightcreams & oils work for me but not the cleanser & toner dont work for me.. they make me soo irritated!! I love my Rose water from Neal's Yard it soothes my skin after i remove all my make-up. All Origins products give me spots. I never get spots unless its an allergy but Origins, Kheils, l'occtaine.. helloooo breakouts! I BROKE OUT EVERYWHERE! I love their body products, but not their skin care. My skin has never been so bad. I went back to Cetaphil and it's all finally going down. I gave it 2 weeks and I stopped because it just wasn't getting better! i have to thankkkkk you for introducing me to Neals yard a while back !!! I've started using the orange flower set and i love itt , im not using the jasmine cream , but the frankencine instead. My skinn is incredible at the momment. You can order your neals yard online its quite quick to ship . i use l'occitane rice skin care, it worked for me for about a year,now my skin is like..'desensitized' to it?! so frustrating, because i never get spots for the past 25 years of my life, and here they are,having a party on my face! do you know if its ok to mix different skin care frm neal's yard?? ie rose facial wash with orange toner?? my skin is a combination,it breaks out once a month during period, apart frm that, just fine...although recently its been breaking out like hell .. so .. i dont know which range to pick from neal's yard. what do u think?? thank you so much for introducing me to neals yard! i had heard of the range b4 but only decided to try it after reading ur blog. i got the jasmine enriching cream & orange flower scrub. i had to get used to the smell of the cream bcos i hated it at first but its doing wonders for my super dry skin! Thanks girls for your suggesttions, unfortunately I need to wait until payday before I order online or go to the store! I got it at a body shop party and I bought it about a year ago, it was no good for me. I was gutted that didnt love it too. So it's sitting in my drawer doing nothing! 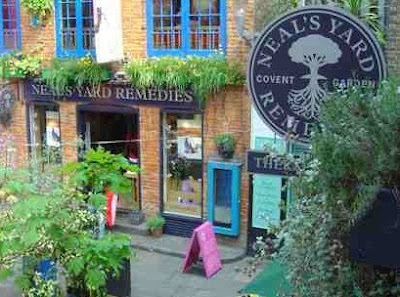 your talk of neal's yard really makes me want to check it out! wish we had it here :) i almost grabbed the moisturizing eye cream from l'occitane the other day--but didn't. I've used the Vit C Body Shop products before, and they were a bit irritating as well--I figured they were just too active for my skin. I may try out the sensitive range from orignins next time im running low on skin care stuff.. You seem to have smililar skin to mine so I trust your judgement! I cant spell it.. 'Cetaphyl'? Those products I keep hearing about by us bloggers and are deffinately on my try list. Muhsine abla, i would stay away from BS products! I recently started using their Tea Tree daily face wash and their Vitamin E Everyday Summer Face Lotion and my skin has now got dry patches all over! I'm having to use almond oil to get rid of it. I would love to try Neals Yard, but can't get to the UK to buy some. You are insanely beautiful!!! I love your smokey eye and natural lips look! Come by my blog and say hi!